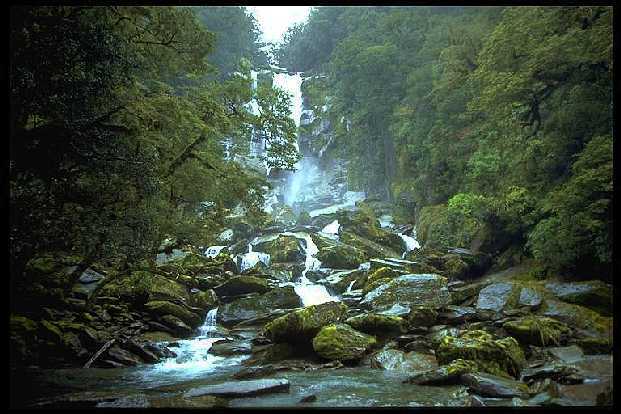 Climbs from the West Coast invariably involve river crossings, torential rain and bush bashing. The valleys are generally steep sided and choked with huge boulders. The bush is typically dense. Some climbers don't appreciate these aspects. The Paringa provided comparatively easy access to the tops. A blazed trail near the falls ascended steeply 1000m just to the right of the picture. However, with 30kg packs in Norwest rain, this was sufficient.